Rats are very clever. They’re also very persistent – particularly where food is involved! Giving your rats puzzles helps engage their natural problem-solving abilities and keep them mentally stimulated. 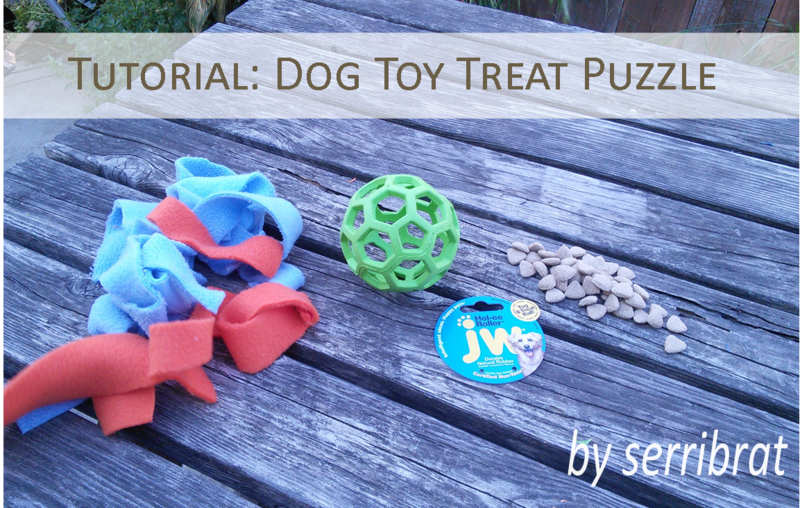 This treat puzzle is easy to create and fun for your rats to solve. 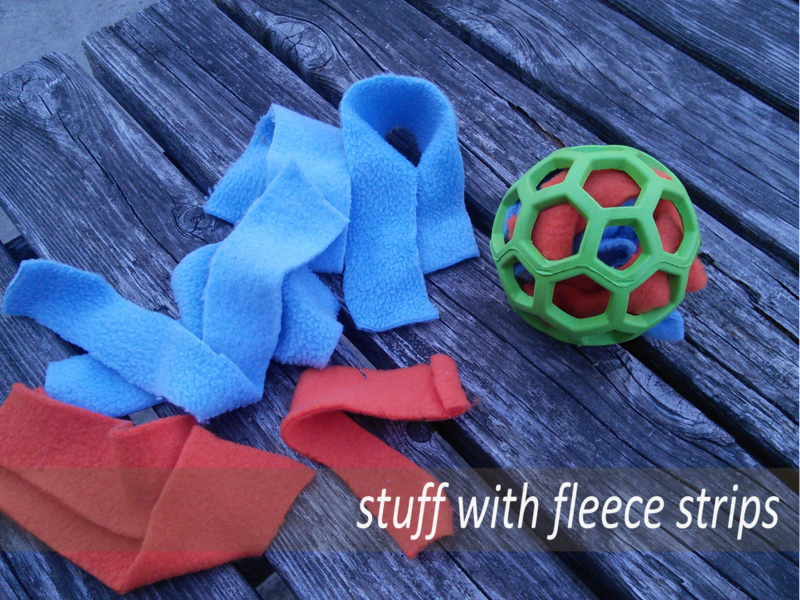 Begin by stuffing a few strips of fleece material into the toy. Stuff some treats into the toy. 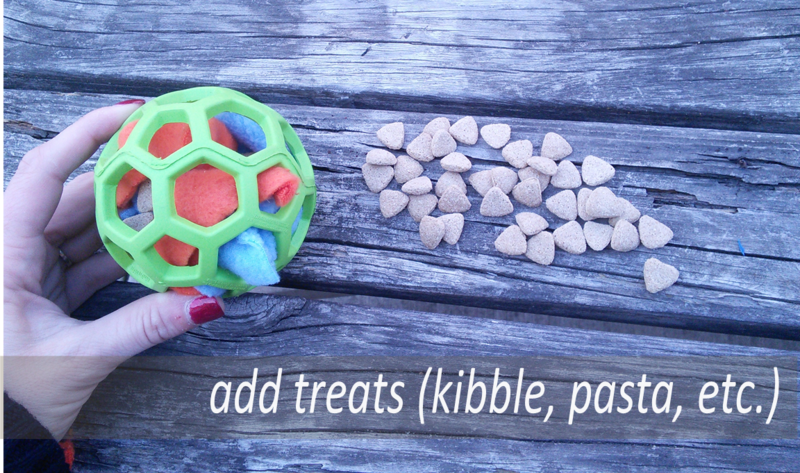 In this example, I’m using plain kibble. You’ll probably want to use something more exciting like nuts, seeds, oats, dry pasta, or maybe even yogurt treats! Add a few more fleece strips to make sure the treats won’t just fall out on their own and you’re finished! 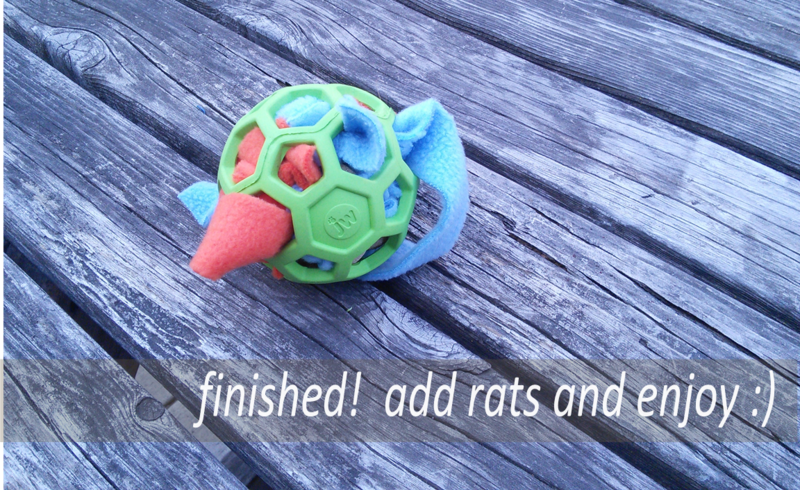 Your rats will have fun rolling the ball around, trying to tear the fleece strips out of the toy, and maybe even taking a shortcut by chewing through the rubber to get to the treats.